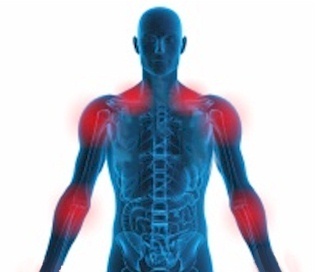 Myofascial Pain Syndrome- from overuse, muscles in the shoulder/neck/forearm areas develop painful active trigger points that keep the muscle shortened. 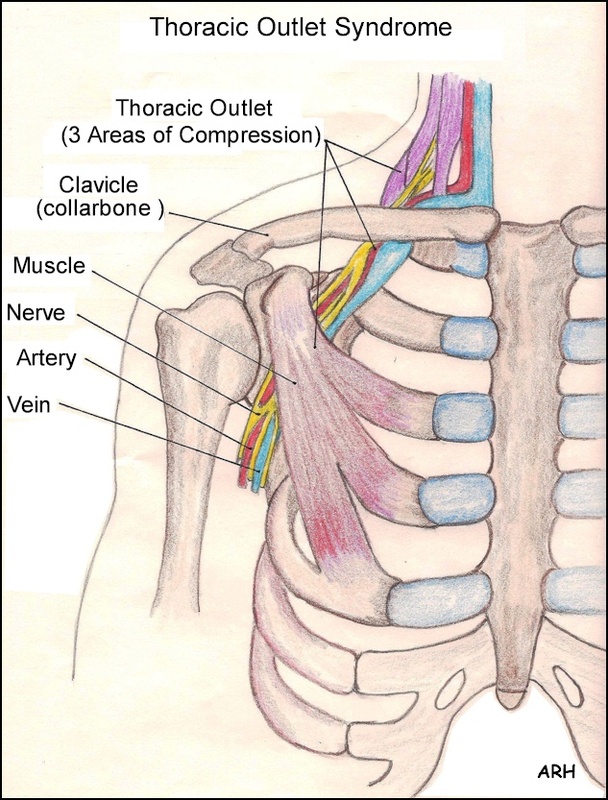 Thoracic Outlet Syndrome-compression of the nerves and or blood vessels traveling from the neck area to the arm. Carpal Tunnel Syndrome - median nerve compression in the carpal canal at the base of the palm. Tennis Elbow/Lateral Epicondylitis-tenosynovitis of tendons at the outside of the elbow. 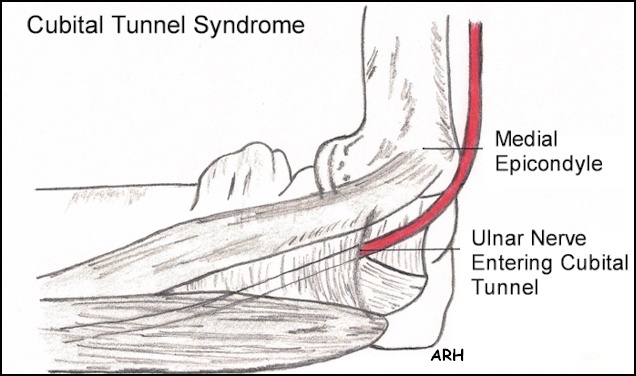 Cubital Tunnel Syndrome-compression of the ulnar nerve in the cubital tunnel at the elbow. 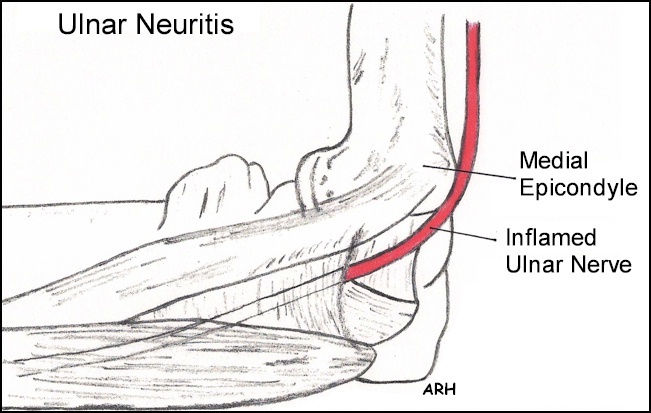 Ulnar Neuritis-inflammation of the ulnar nerve at the elbow. 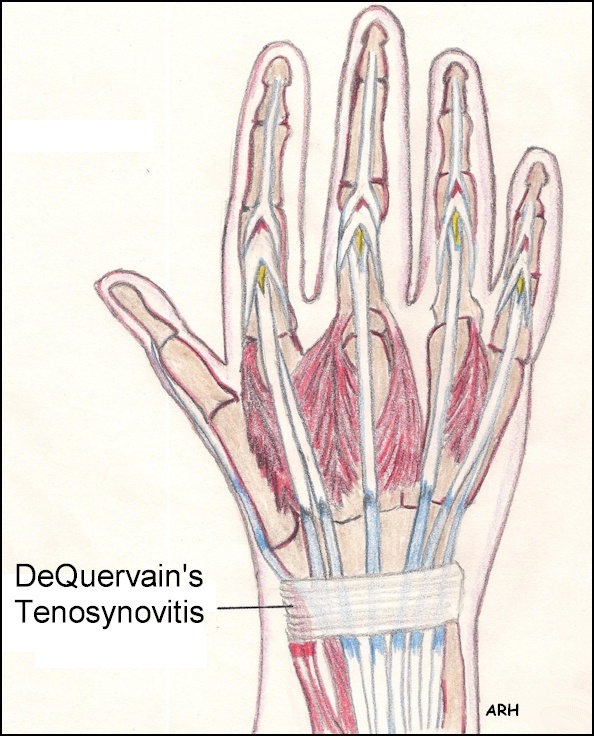 De Quervain-inflammation of the thumb extensor tendon. 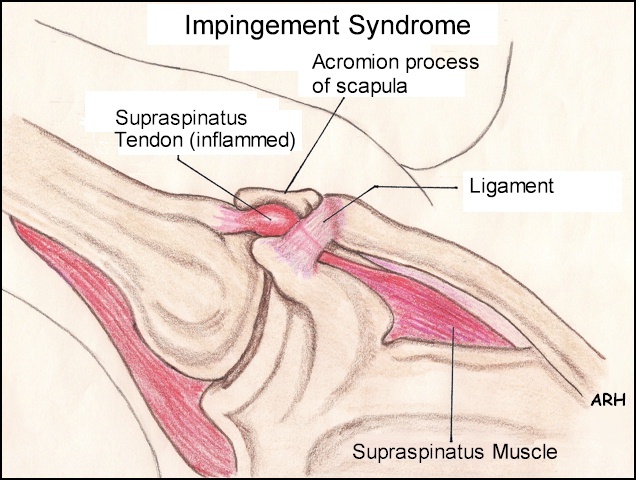 Impingement Syndrome-inflammation of supraspinatus tendon at the shoulder. 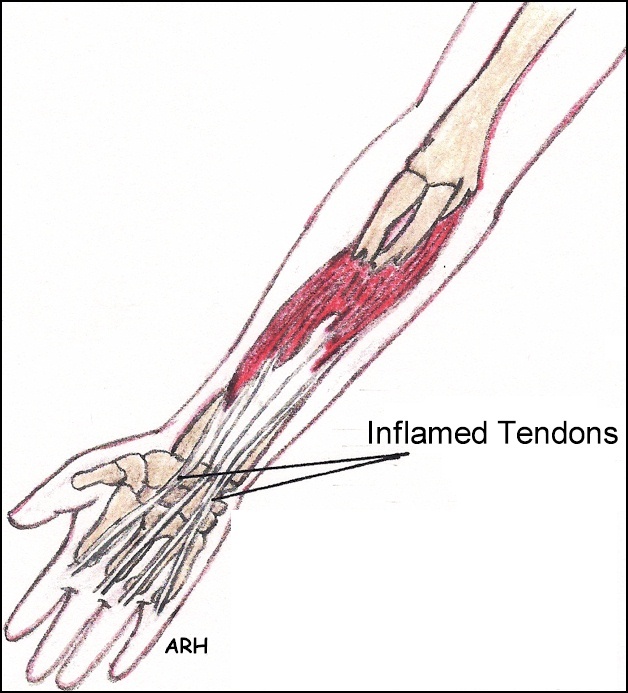 Wrist Tenosynovitis / Tendinitis-inflammation of the tendons at the wrist. Trigger Finger/Thumb-fingers that lock when forcefully grabbing items. Examination of our patient population with RSI associated with keyboard/mouse use showed that the most common problem was myofascial pain syndrome involving the forearm extensors and the shoulder /neck muscles. 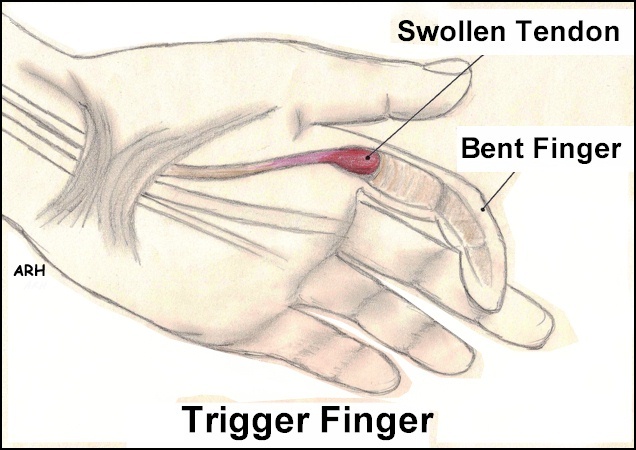 This is pain in overused muscles that produces active trigger points and shortened muscles. 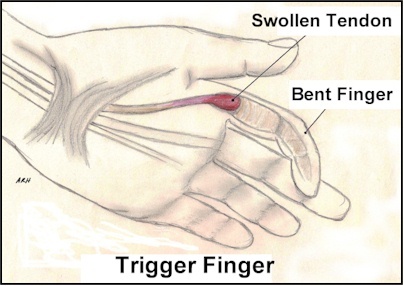 The trigger point may produce referred pain. For instance, a trigger point below the elbow may refer to the back of the hand. Also there will be increased tension in the muscle so it will be shortened that can be seen visually. The involved muscles may be weak and difficult to stretch fully. Treatment of myofascial pain syndrome basically involves stopping the trigger from being active so that the muscle can return to its normal length. Therefore the trigger point can be released with pressure or therapy and then stretching can help to bring the muscle back to its original length. For each of our patients COEN develops a comprehensive treatment program. Our services include evaluation, testing, muti-discipline therapies, pain management, Kinesio taping, lifestyle and workplace changes, training or a combination of each.